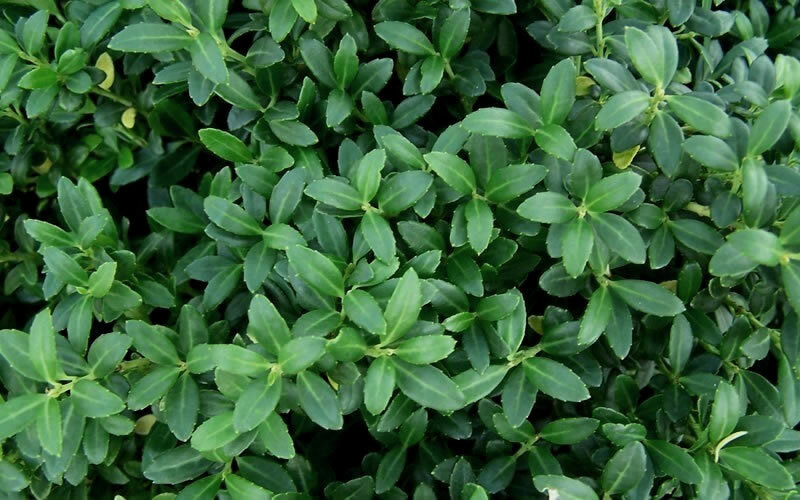 The Soft Touch Holly is a very attractive low-growing, mounding evergreen shrub with...you guessed it...leaves that are soft to the touch. No spines at all on this one! Even from a distance, the naturally dense mounds are soft in appearance. The leaves of this cultivar are a deep grayish blue-green and smaller and narrower than some of its cousins. 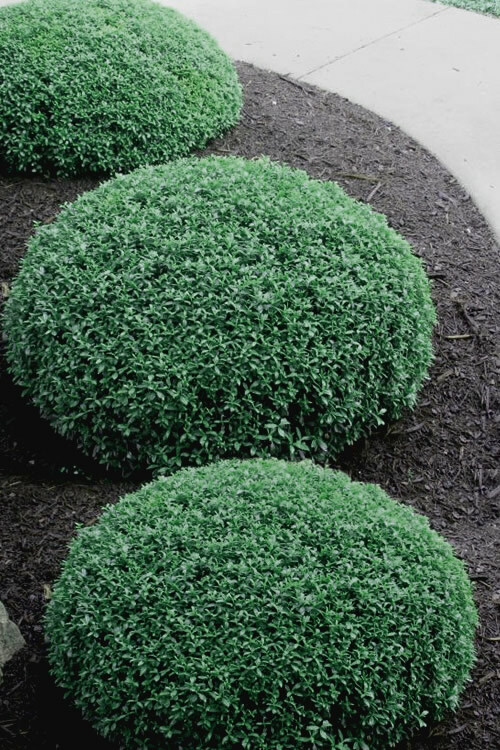 As with other Japanese hollies, Soft Touch can be left to grow natural or sheared to form domes, squares or other various geometrical shapes. 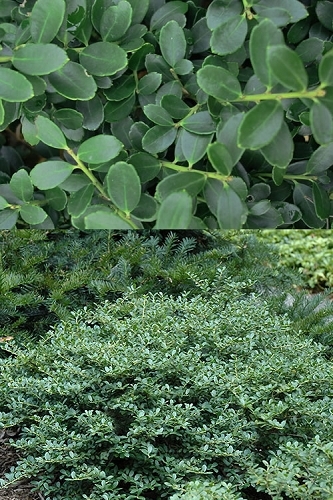 It's naturally dense and mounding habit to about 2 to 3 feet in height and 3 to 4 feet wide (depending on pruning), and the fact that it responds very well to shearing, makes Soft Touch Holly one of the best evergreen shrubs for use where a low growing evergreen shrub is needed in home foundation plantings and landscape borders. With occasional pruning or shearing it can be kept to about half its mature size. 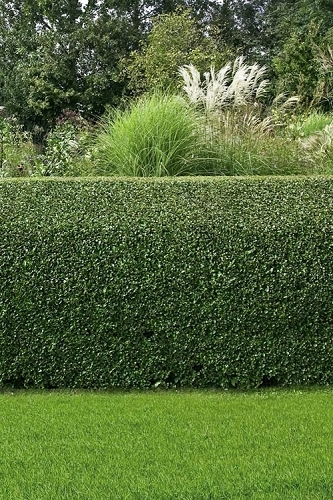 Soft Touch is also useful as an underplanting for mid-size trees such as crape myrtles and Japanese maples, in groupings or mass plantings, as a low natural to formal hedge, or sheared to various geometrical shapes. Soft Touch Holly is easy to grow in most any average, moist but well-drained soil and full sun to part shade. We suggest at least 5 hours or more of direct sun light per day. 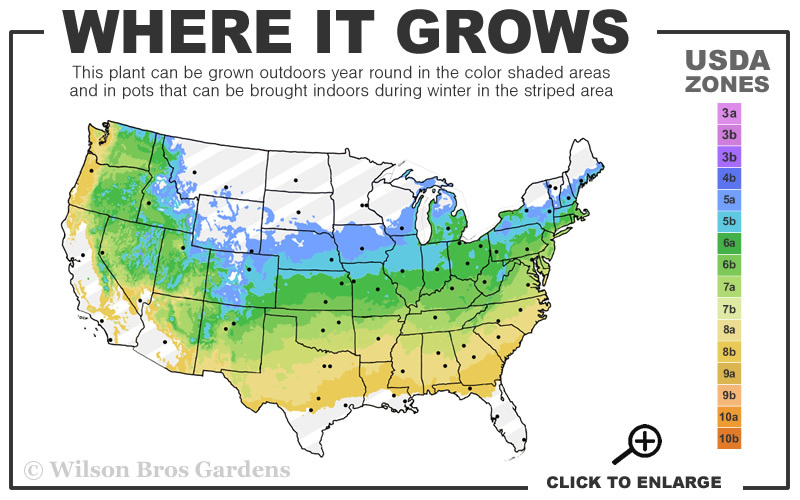 As with so many other types of ornamental plants, constantly soggy or wet soils can cause root rot or other harmful plant diseases. Where there is a soil drainage concern, either improve drainage or plant in raised beds to ensure proper drainage. Plants arrived in perfect condition. 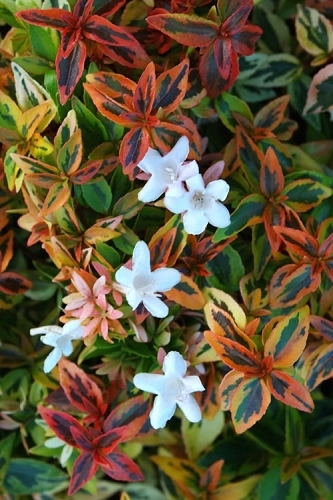 They make a really nice small border hedge. It is nice to be able to get exactly what I am looking for and can not find locally.